Bikkuriman Devil vs. Angel is the name of cheap sweets, it attached one (or rarely two) original card-game style stickers. 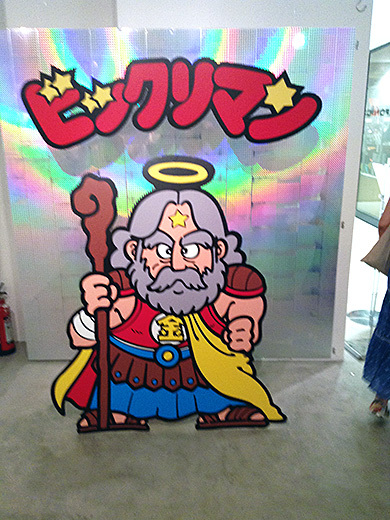 These characters have names or have backgrounds mixture from many myth or folk tales. 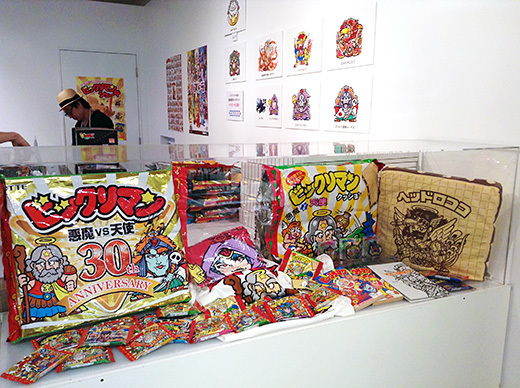 Many kids (especially boys) were crazed for collecting the stickers, and it became social problem to ruin the snack to get rare stickers. Now, grown-up thinks fondly of precious blinging sticker days. 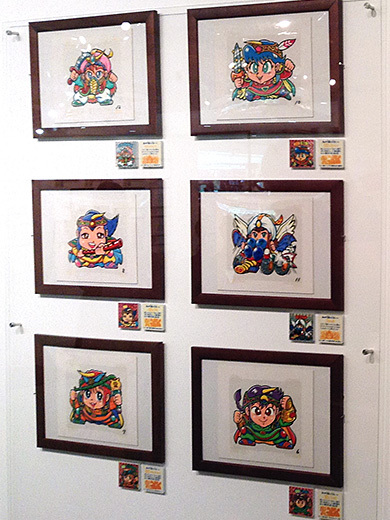 Original art of stickers and dying-for rare stickers were in the exhibition. 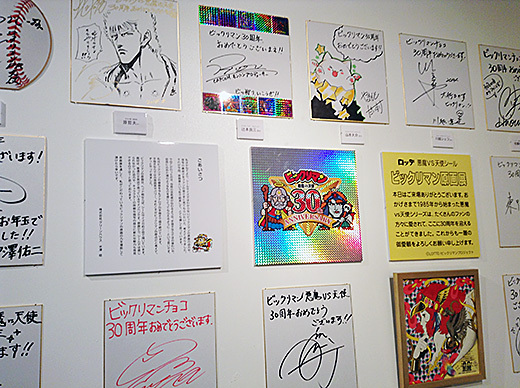 Japanese celebs sent happy 30th years anniversary messages. Former kids enjoyed their childhood days at there.